Joshua McGoogan, a mechanical engineering major at Youngstown State University, was awarded the first Mahoning Valley LMCC Scholarship through the Youngstown State University Foundation. 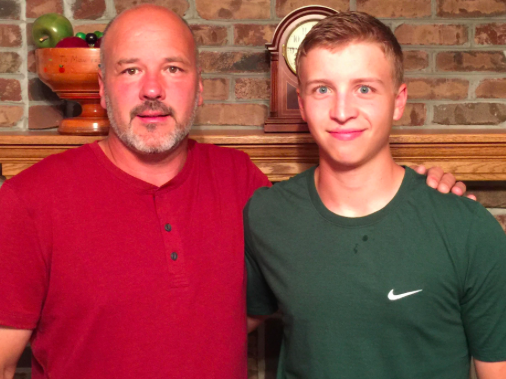 Joshua McGoogan (right) celebrates with his father, David, after earning the NECA-IBEW Electricians scholarship at YSU. David is an IBEW Local 64 member. The scholarship is open to YSU students pursuing an undergraduate degree that would benefit the electrical industry. Qualified applicants would also have to be an employee or relative of an employee affiliated with IBEW Local 64 or signatory electrical contractors in the Mahoning Valley. 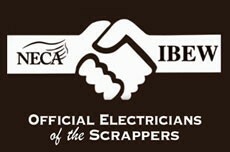 McGoogan’s father, David McGoogan, has been a member of IBEW 64 since 1989. His work in the electrical field has inspired Josh during his time at YSU. After graduation, McGoogan is considering working in the automotive industry. However, he is also considering returning to school for an electrical engineering degree. McGoogan applauds the educational focus the association of electricians and electrical contractors haven taken by starting this scholarship. “I am grateful that the LMCC committee for investing into the lives of young people pursuing an education,” McGoogan said. This entry was posted in News on July 3, 2017 by necaibew.